Features frantic drumming, lots of text. 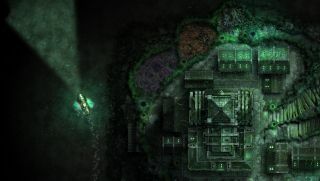 Sunless Sea is getting a sequel (not a sea-quel, unfortunately for pun fans), which is set in ruddy space. You can read all about that here, but before space comes a bit more soggy sea, specifically the bit underneath it, which you can explore in Sunless Sea's upcoming Zubmariner expansion. That's due out on October 11, but we can watch the launch trailer now. Nicely written text! A slowly moving sea vessel! This looks like Sunless Sea alright, and I like that a bit of frantic drumming, and rapid editing, is all that's required to big that up. I see that Chris added a disclaimer to his post on Sunless Skies, so I'll add one here too. Long-time PC Gamer contributor Richard Cobbett is a writer for Sunless Sea, and maybe the Zubmariner expansion too.